Our best quality service with flexible plans lead to complete customer satisfaction. We operate 24/7/365 at no additional cost in order to meet our US based clients international support needs. Instant, effective, and reliable support available for third-party asterisk-based dialer to keep your PBX uninterrupted. Give the best customer service with various customer information handy on your call center software. IT consultants that bring the most value are those with actual operating experience. My IT Infra has 5 years experience operating all types of IT environments. A maintenance contract, defined as the contract between 2 parties which creates the agreement that one party will maintain an asset owned by another party, is common across many industries. FreePBX is a web-based open source GUI (graphical user interface) that controls and manages Asterisk (PBX), an open source communication server. FreePBX is licensed under the GNU General Public License (GPL), an open source license. VIC DIAL is a software suite that is designed to interact with the Asterisk Open-Source PBX Phone system to act as a complete inbound/outbound contact center suite with inbound email support as well. Myitinfra is recognized globally as one of the largest Hosted Dialer and Private Branch Exchange (PBX) service providers. The company is Situted at dehradun and serves the business all over the world. For its expertise at cloud-based services, the company commands an emphatic reputation in the market. 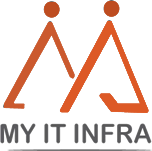 Myitinfra now providing the latest plans for customers in inbound call center and outbound call center suits.